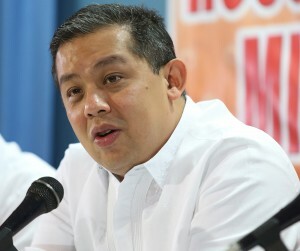 HOUSE independent bloc leader and Leyte Rep. Martin Romualdez yesterday appealed to millions of Filipinos to observe environmental concerns during the welcoming of New Year by ensuring the proper disposal of garbage. Romualdez lamented that authorities regularly brace a garbage-filled metropolis during New Year celebrations. “Let us reduce the environmental concerns that would greet New Year. Let us ensure the proper disposal of garbage that is now starting to pile up,” said Romualdez, adding that garbage problems might be aggravated by the debris to be left by firecrackers. “While we celebrate New Year, let us also remember environmental considerations from the expected huge garbage to pile up. The people should help maintain cleanliness,” said Romualdez. At the same time, he appealed to authorities to draw contingent measures that would avoid the mounting of uncollected garbage in various parts of the country. “Our authorities should initiate its contingency measures so that garbage collection will not be hampered,” said Romualdez. It can be recalled that the Metropolitan Manila Development Authority (MMDA) usually faces problems in its garbage collection program. The Leyte lawmaker recalled that concerned authorities collected tons of waste materials left behind during after Christmas and New Year’s celebrations in streets and major thoroughfares. Romualdez explained that disposing garbage properly will ensure that it will not find way to the drainage system and inlets that would cause massive flooding soon like what happened when typhoon Ondoy-ravaged Metro Manila and nearby areas. He asked members of the Philippine National Police (PNP) and other authorities to ensure the safety of the public against criminals and guarantee order in general. Romualdez also asked the public to be more patient in encountering horrendous road traffic, adding that road rage must be avoided all the time. “There will also be a traffic nightmare in some areas. The people should be more relaxed despite the inconvenience to avoid any untoward incident,” he said.